Looking for a maintenance free lifestyle without the compromise of storage and space? 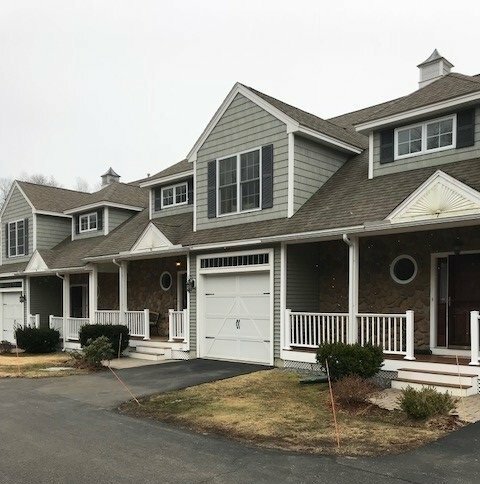 This conveniently located town home with stunning marsh views offers everything on your wish list. Cathedral ceiling living room with gas fireplace, dining area & 1st level master bedroom with an over the top spa-inspired bathroom, updated cooks kitchen with ss appliances, granite and timeless cherry cabinets, 2nd level with 2 additional large closeted rooms for flexibility between bedrooms, office and guests space, full updated bath with huge linen closet, and a loft den. For those in need, this town home is ADA compliant. The 1000+ sq ft of basement is perfect for storage, work out / game room or adding additional living space! 1 car Garage & Whole Home Generator complete this must see property.